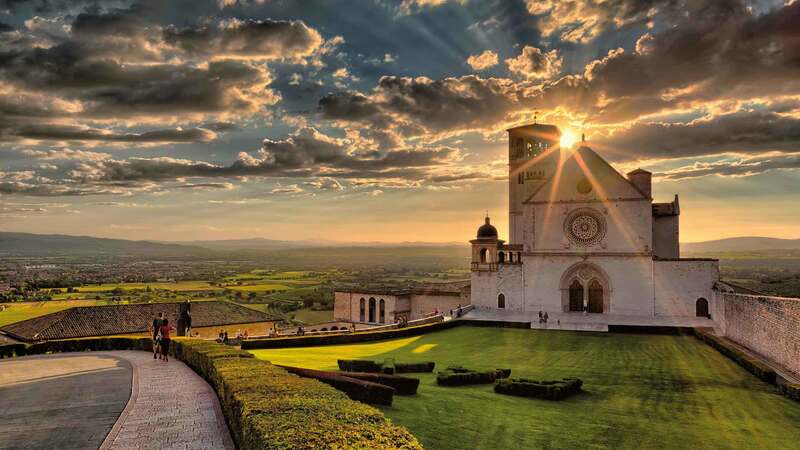 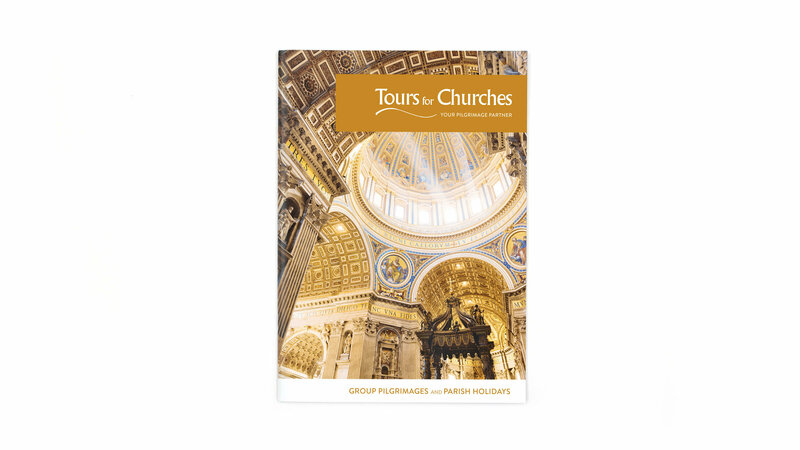 Tours for Churches is an established travel company offering educational and inspirational tailor-made tours to some of the world’s most sought after religious sites. 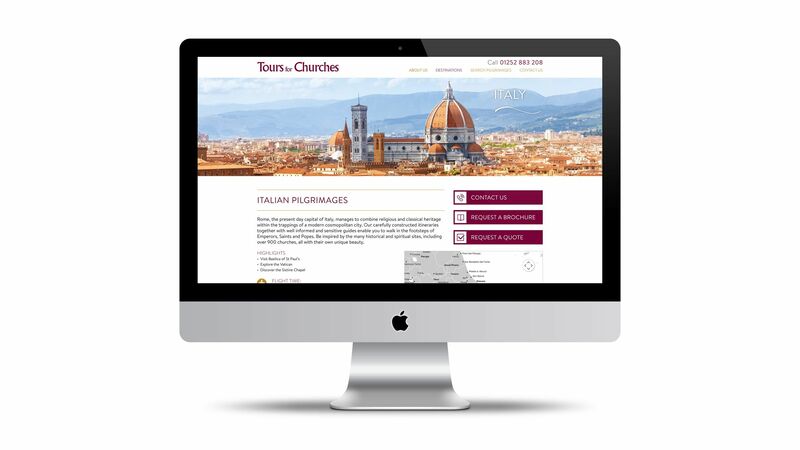 It provides an unrivalled travel option for parish groups who are looking to get the most out of their spiritual journey. 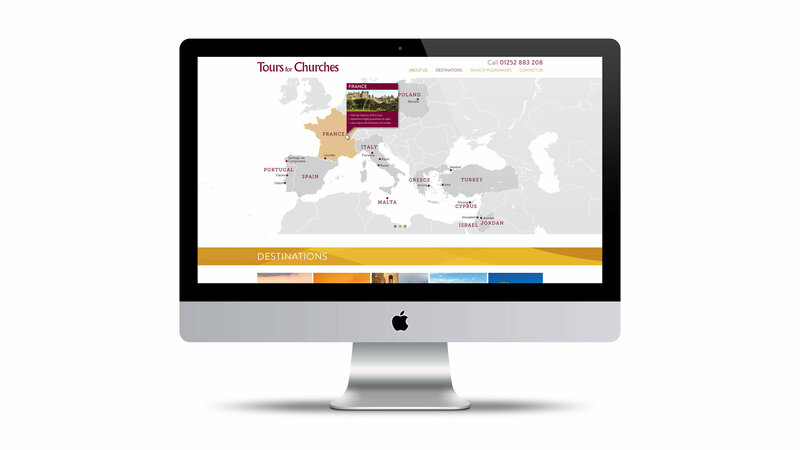 Tours for Churches asked Whitehot to create a fresh new brand style that offered a progression to a newer modern feel and provided greater brand recognition across all of the companies marketing media. 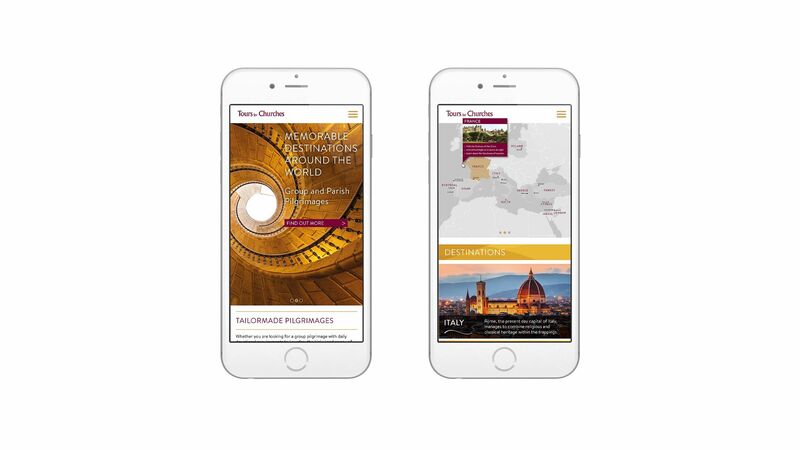 The logo was to remain untouched, therefore a solution that worked around the established logo was required. 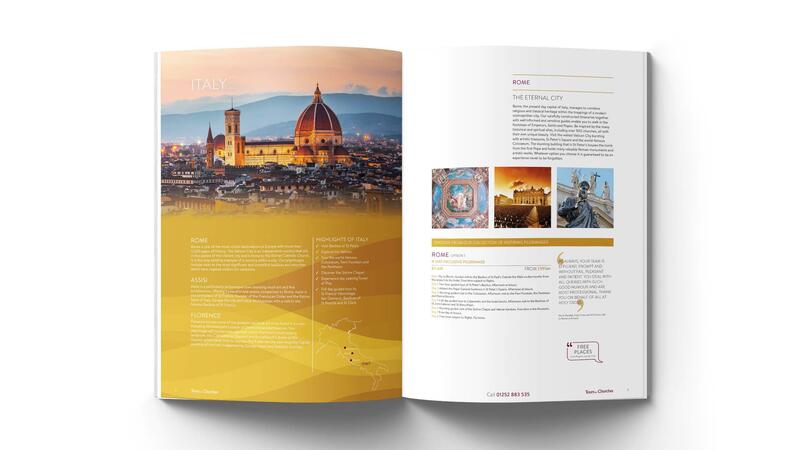 This was an exciting challenge given the tour sector’s traditional perception. 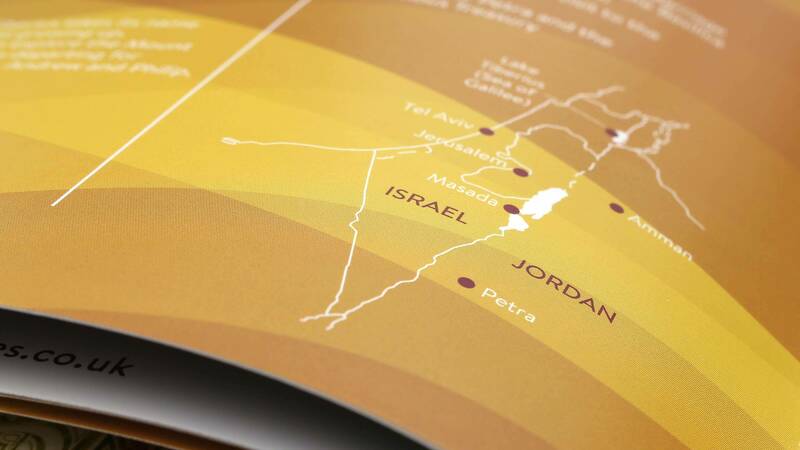 Our team created a graphic wave brand element that was to be used to unite all the Tours for Churches marketing material. 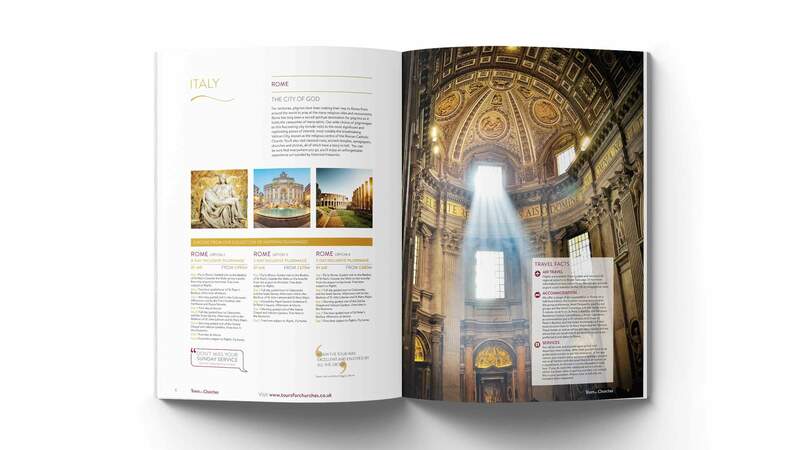 This included a 32 page brochure that was designed using spacious layouts that offered a minimal approach whilst still focusing on the striking imagery that supports the ‘emotional and spiritual’ experience that Tours for Churches were so keen to promote. 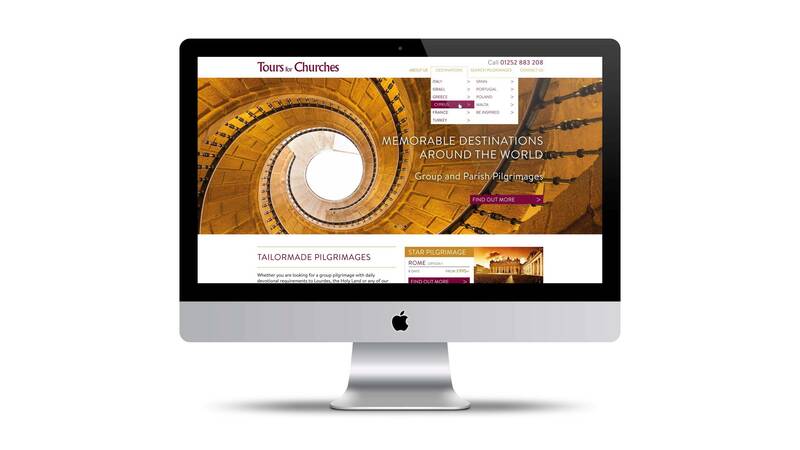 We continued the new Tours for Churches branding through to their new responsive website.